The new ReStore for HABITAT for Humanity had the Grand Opening this evening in North Vancouver. We were honoured to have Alan Nixon our Councillor for the District of North Vancouver participate in the Ribbon Cutting! 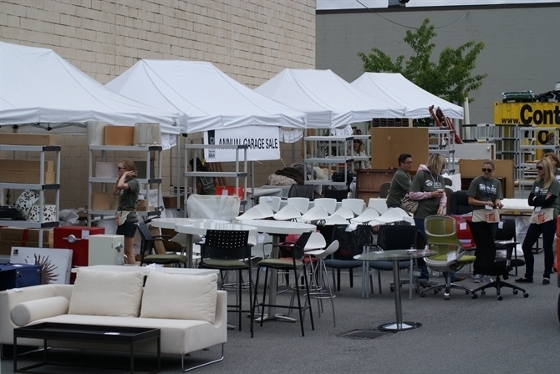 ReStores sell new and used high-quality building supplies, appliances and renovation materials. You will save money, protect the environment and help families in need. Proceeds from the ReStores go towards Habitat for Humanity Greater Vancouver, a nonprofit organization that builds affordable homes for sale to low-income working families in the Lower Mainland. The stores are staffed by volunteers and stocked by community donors. I have volunteered to work in the store, which I am quite excited about. Come by and see what it is all about . Open 9am - 5pm Monday - Saturday, and 10am - 5pm Sunday.